Sandboarding in Huacachina, Peru: This page contains 2019 Updated information including getting to Huacachina, where to book your sandboarding experience, the best deals & prices and FAQs! Huacachina is the only desert oasis in South America and is quickly becoming the go-to place for anyone in Peru or Bolivia interested in dune buggying and sandboarding! Huacachina is also where you’ll find the largest sand dunes in South America, ideal to go sandboarding on! When sandboarding, you have the option to either stand up or lie down on your stomach and go head first (recommended for your safety). 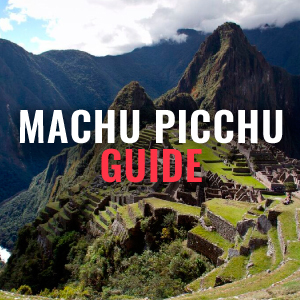 Below we have created our extensive guide to Buggy and Sandboarding in Peru based on our expert local knowledge having helped to transport over 30,000 travellers here since our formation in 2013. 1. 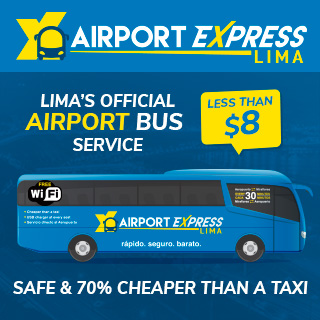 How to get to Huacachina – Compare your transportation options. 2. Buggy and Sandboarding Tour Information – Check start times, prices and more. 3. Did you know? 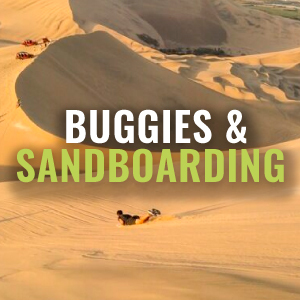 – Some fun facts on Dune Buggying and Sandboarding in Huacachina. 4. What to bring to the Buggy and Sandboarding Tours? – Everything you’ll need for your tour. 5. Buggy and Sandboarding FAQs – We’ve answered your frequently asked questions, still have more? Drop us a message on Facebook! 6. Photo Gallery – Some of our favourite photos of the Buggy and Sandboarding. 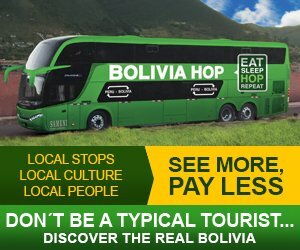 Special deal for Bolivia Hop Passengers – Tours booked with Arenas via FindLocalTrips.com allow date changes up until the evening before your tour begins at no extra cost! Huacachina is the best destination for Dune Buggying and Sandboarding in Peru. 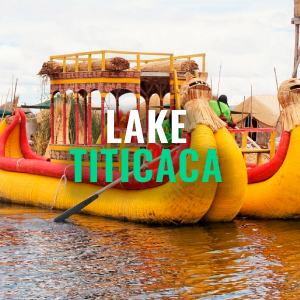 Apart from our Bolivia Hop bus service, the only way to get there is by taking a taxi from Ica, the nearest city. If you want information on the perfect bus for you to take to Huacachina, visit our passes page. First, choose your departure city, then the destinations you want to hop off at, and finally how long you have to travel. 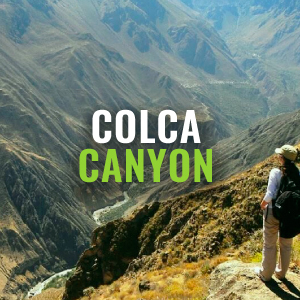 Then take a look at our passes to find which is the perfect route to get you to Huacachina. 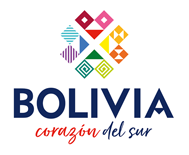 Bolivia Hop does not operate any Buggy and Sandboarding Tours. Read below to see the operators Bolivia Hop would recommend. IMPORTANT NOTE: the duration of this tour is shortened to one hour during holiday periods (e.g. Easter weekend, end of July). 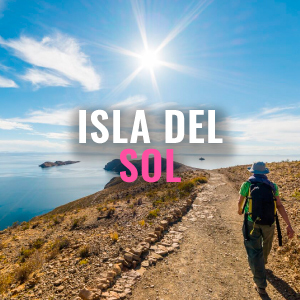 Special deal for Bolivia Hop Passengers – Book this tour with Arenas via FindLocalTrips.com and be able to change your dates up until the evening before your tour begins at no extra cost. Want information about Buggy and Sandboarding Tours? 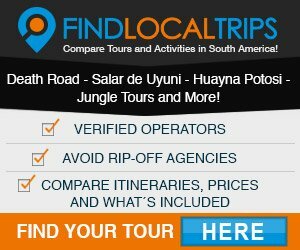 Visit FindLocalTrips.com where you can compare itineraries, operators and prices. It is possible to do the Buggy and Sandboarding Tour and hop back on the Bolivia Hop bus to Lima that same day. Huacachina is the only naturally formed desert oasis in all of South America! The only bus company to go directly into Huacachina is Bolivia Hop. 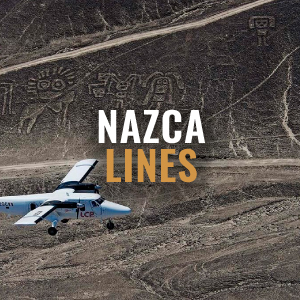 The closest other companies get to Huacachina is the nearby city of Ica, where passengers must then take a taxi in order to get to Huacachina. Huacachina is not only popular with international visitors but also with local Peruvians, especially on weekends which adds to the great atmosphere. It is because of this that booking accommodation in advance is advisable around weekends and holidays, particularly if you require private rooms. What to bring to Buggy and Sandboarding? Lightweight trousers to protect your knees if you decide to sandboard lying down. Can I still do the Buggy tour if I am departing from Huacachina for Paracas/Lima at 18:30pm? Yes, you can. The Buggy tour begins at 16:00pm with a duration of 2 hours, meaning you will be back at approximately 18:00pm. At a certain time of year the buggy tour starts 30minutes later to make sure you catch the stunning sunset on the dunes. Don’t worry if you are travelling with Bolivia Hop as we co-ordinate with this schedule change. If you are booked to leave, we will wait for you to come back from the tour regardless of whether your tour is delayed or not. Granted that you are responsible, sandboarding is very safe. However there are accidents every year from people going too fast so be sure to take it easy. You will not win against a wall of sand. Yes, the buggies of the operators we recommend are completely safe. Their drivers ensure you have the most fun without taking any risks and all seats are equipped with seat-belts to make sure you are strapped in safely. However we can only speak for the operators we recommend as some operators have older, less safe buggies so it is essential to be cautious when you book your tour. Can I drive the buggy myself? No, you are not able to drive the buggies yourself and you will understand why once you have done it! All of the drivers are certified and have special permits to drive the buggies. I want to spend longer Sandboarding, can I hire boards per day? Yes. If you wish to hop off in Huacachina and work on your board skills there are several places in town where it is possible to hire a board by the hour or half/full day. I was late and missed my tour. Can I change it for tomorrow? Unfortunately, if you turn up late and miss the sandboarding tour, the operator will still charge you the full price. Your seat in the buggy is reserved so if you are a ‘NO SHOW’ the operator does not have the chance to sell your seat to anyone else. It is possible for you to book the tour again on the following day, however you will have to pay a second time. You can cancel your tour up to 4 hours before the scheduled departure. For even more info about sandboarding, take a look at our blog Sandboarding in Peru which will convince you even more that sandboarding in Huacachina is a must-do activity for anyone visiting Peru. To book a buggy and sandboarding tour we strongly recommend you use FindLocalTrips.com a search and comparison website for tours across all of South America.